Open Educational Resources (OER) are materials used to support education that may be freely accessed, reused, modified and shared by anyone. OER include full courses, course materials, modules, textbooks, research articles, videos, and other materials used to support education. OER creators own the intellectual property and copyrights of the OER they create. However, they license the OER and make it freely available to others. To those questions another one was added when David Porter and I were in Ottawa presenting the work of BCcampus broadly including the benefits of Open Educational Resources to Canada’s federal government. The UNESCO / Commonwealth of Learning project Fostering Governmental Support for Open Educational Resources Internationally led by Sir John Daniel of the Commonwealth of Learning and Stamenka Uvalic-Trumbic is hosting a series of regional policy forums on OER for governments between now and the World OER Congress in June 2012. The purpose of these policy forums is to raise governments’ awareness of OER and their support for them, as well as getting input to the Declaration on OER and Open Licensing that will be put to the June OER Congress. I like all these questions. Open needs to make financial and economic sense. All of us involved in OER work need to be able to answer these questions directly. We need to be able to state in simple, straightforward terms the economics of open. So that got me to thinking that I should tackle these questions. Someone needs to make a stab at generating answers. 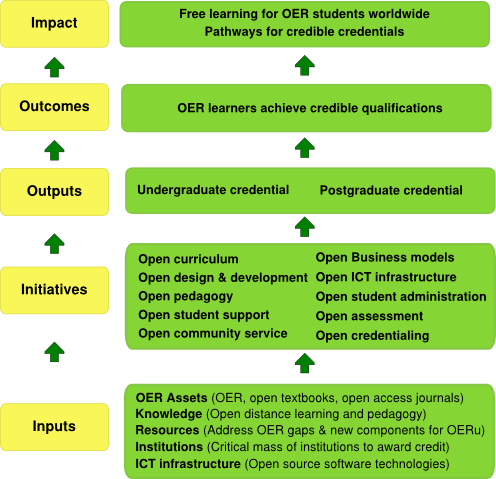 Cable Green’s request for input into what the business case for OER is generated a flurry of responses and recommended readings on international OER list servs. I’ve gathered those readings into a What is the business case for OER? Collection which I’ve pasted at the end of this blog post. 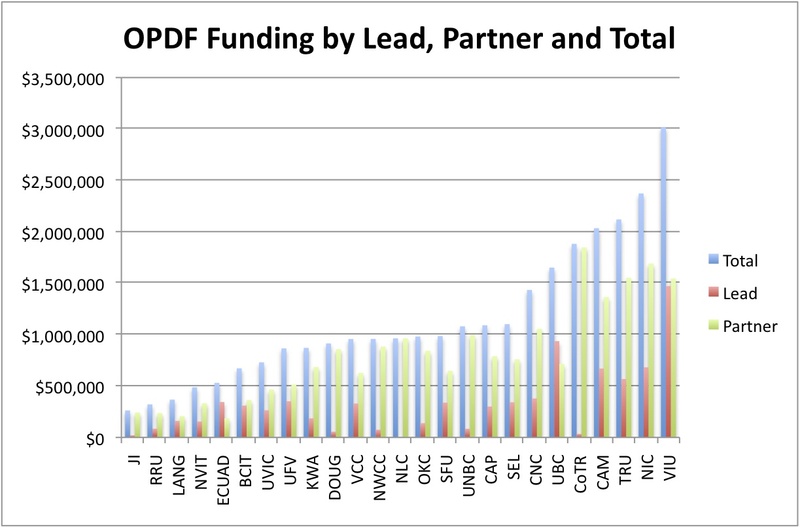 In addition my colleague Scott Leslie began assembling evidence of the economic benefits of many different kinds of open including open access research publishing, open source software, open standards, open data, and OER. I spent some time going through all these resources seeking to extract short straightforward statements that answer the question, “What is the business case for OER?” Here’s what I came up with. The business case for OER includes both cost savings and revenue generation. Making something open is not always a means of direct revenue generation. It often is indirect – because something is open it leads to a revenue opportunity that wouldn’t have existed otherwise. Using OER as a means to market reputation and institutional prowess can convince students to enroll. While better quality learning resources may not directly generate revenue they can lead to faster learning, greater learner success, or reduce drop outs. By their very nature OER can lead to new ways of education through more cooperation, collaboration, and partnerships between institutions. OER make totally new forms of education possible and bring new players into the education market. I expect many of you may have additional short straightforward statements that answer the question, “What is the business case for OER?”. Welcome your statements as comments to this blog. I expect many more elements of the business case to emerge as the practice of open in education matures. While the above statements provide a business case for OER they don’t completely answer questions associated with financial rewards to creators who share, or the business models of open, or how open acts as an economic driver. With the business case established lets move on to defining these other economic aspects of open. 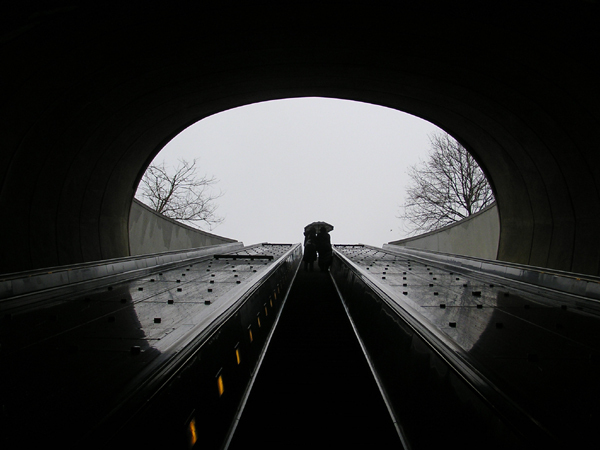 The economics of open can be described from multiple perspectives. If I am a creator I describe it one way. If I’m a consumer I describe it another. In education the way I describe the economics associated with open differs depending on whether I”m describing it from the perspective of a student, an instructor, a college, the education system of a region, or government of a nation. The economics of open also differ depending on whether you are taking a public or private perspective. Education is both a public service and a for-profit activity around the world. In the public service context there is a very strong business case that publicly funded goods be made freely available to the public that funded them. In the current OER higher education context “creators” are faculty and/or institutions. When you look at a question like “How does a creator earn a living giving away their work for free?”, in a public sector context the answer is partly that those in the public sector are already earning a living via salary derived from public taxpayer dollars. If they are already being paid by the public shouldn’t the educational work they are being paid to develop, whether it be research or educational resources, be freely available to the public? After thinking a lot about which persona I should describe the economics of open for and which sector, public or private, I decided to discard these differentiations and focus in on how the economics of open generates benefits that accrue to all players regardless of who you are and regardless of whether it be for public service or for profit. My aspiration is for short direct answers that make sense to everyone. To derive answers I started looking at things like open source software business models, the sharing economy, and how digitization and the Internet affect supply and demand. There is a lot to explore! I’ve taken it on as my challenge to show how the economics of open, as it plays out in other sectors, applies equally well to education. The language of business and economics is not always used in education. However, for the purpose of generating direct short answers that everyone understands I have chosen to use the language of business and economics in my answers. Here then are my answers. Open enables rapid market entry, market penetration, and market share. We are all creators. Some take photos, some make music, some paint, some write. Most creators are interested in having others experience their work. However default copyright and IP laws tend to constrain access, dissemination and use. Openly licensing work reduces barriers to access and dissemination friction. Going open is a good way to make the market aware that you exist. When something is open it can be disseminated quickly and widely to people everywhere. You may have created a great work but if no one knows about it then its not generating you, or anyone else value. A central reason for developing and distributing free open source software is that it enables fast entry into the market, rapid market penetration, and generates market share. When Google made the source code for Android open they wanted to make sure that there would always be an open platform available for carriers, OEMs, and developers to use to make their innovative ideas a reality. They also wanted to make sure that there was no central point of failure, so that no single industry player could restrict or control the innovations of any other. The single most important goal of the Android Open-Source Project (AOSP) is to make sure that the open-source Android software is implemented as widely and compatibly as possible, to everyone’s benefit. 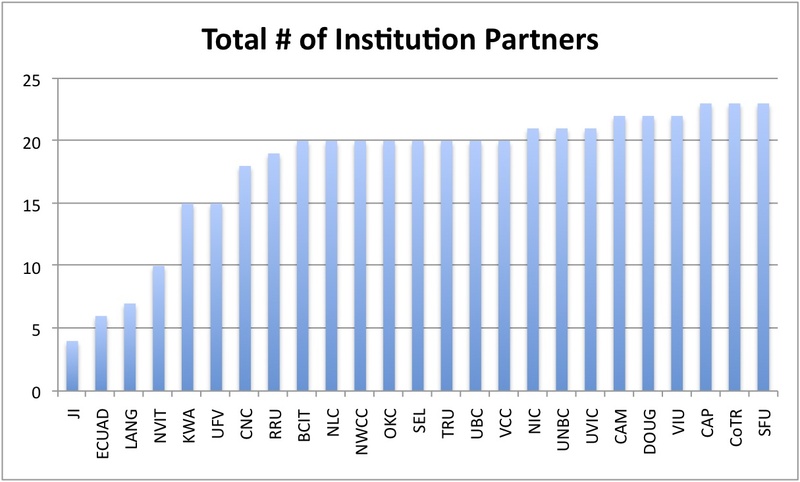 Educational institutions who go open frequently report institutional impact in marketing terms. In October 2011 BBC News reported Open University’s record iTunesU downloads had reached 40 million and put the Open University alongside Stanford University for the most downloads. In 2011 after ten years of open sharing MIT states it shared its OCW materials with an estimated 100 million individuals from over 200 countries worldwide. MIT’s goal for the next decade is to increase their reach to a billion minds. The UK Open University, MIT, and Stanford all get that going open enables rapid market entry, market penetration, and market share. They’ve established first mover advantage in building up their market presence. For them going open is good business. As the OER field moves forward I expect we’ll see data that shows increased enrollments where OER exists for courses and shows conversion benefits associated with students being able to try before they buy. Open generates revenue through advertising, subscriptions, memberships, and donations. When most people hear about open they find it hard to imagine how making something you own, open and free to others could possibly yield a financial benefit. Obviously you’re not going to generate direct revenue from a free resource. However, you can generate indirect revenue and there are lots of existing business models that already do so which education can emulate. Google makes a search engine available to all Internet users for free. It makes its revenue from advertising. Facebook provides a free social network platform that supports personal networks, friendships, and social movements. It makes its revenue from advertising. Given the market valuations for Google and Facebook it’s clear that the business model of generating revenue from making something you own, open and free to others can generate large financial benefits from advertising. Both Google and Facebook have worked hard to make the advertising tolerable by personalizing and targeting it to match your interests and needs as closely as possible. Advertising and education tend not to mix. There is a tacit understanding that education should be pure and not unduly influenced by something so crass as advertising. However, given the success of ventures like Google and Facebook I expect this will change. Already sites like Udemy have emerged. 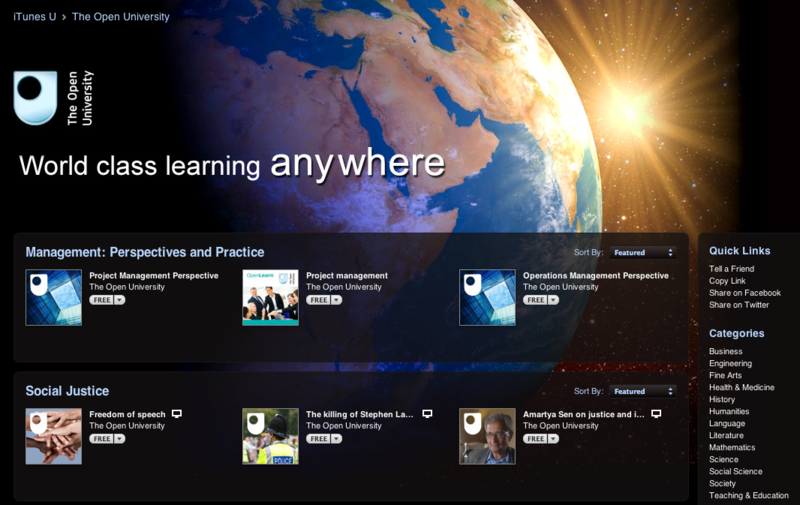 Udemy’s goal is to disrupt and democratize the world of education by enabling anyone to teach and learn online. They’ve built a platform that makes it easy for anyone to build an online course using video, PowerPoint, PDFs, audio, zip files and live elements. Students can take courses across a breadth of categories, including: business & entrepreneurship, academics, the arts, health & fitness, language, music, technology, games, and more. Most courses on Udemy are free, but some are paid. Paid courses typically range in price from $5 – $250. 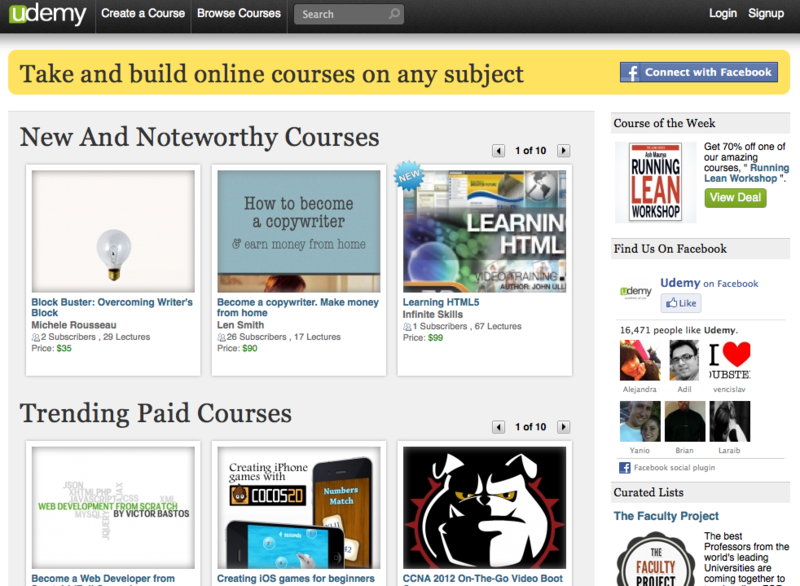 Udemy features advertising in their third column (aka Facebook) and takes a percentage of each course fee. Its important to point out that sites like Google, Facebook and Udemy are not open in the full sense that I established at the beginning of this blog. Open in its fullest sense means education resources that are freely accessed, reused, modified and shared by anyone. While Udemy provides “free” access everything on the site is locked down by copyright and can not be reused or modified. EdTech Frontier is built using WordPress open source software. Anyone can create a blog for free at WordPress.com. You get a whole array of free functionality – customizable design themes, ability to write posts, upload and embed photos and videos, stats dashboard, privacy options, complete hosting, … This free functionality is sufficient to get you going and may be all that you need. But for those who want more control you can subscribe to premium features. WordPress generates revenue from advertising so if you don’t want advertising you can remove ads from your blog for a low yearly subscription fee. Think about that for a minute – if its free you accept advertising, if you don’t want advertising you pay a fee. Additional subscriptions get you your own domain, extra storage, custom design, VideoPress, … The business model is very clear – basic for free, premium for a fee. GoodSemester is an education platform that has adopted the same subscription model. 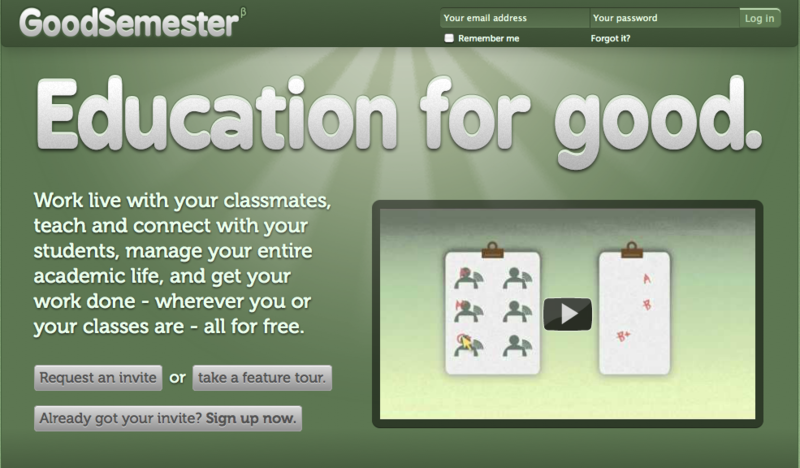 GoodSemester is interesting in that it has been developed by students. They think that education deserves the collaborative power and ubiquity of the Internet, and they don’t understand how schools have gotten on for so long without some amazing tools we take for granted in other fields. GoodSemester is a course platform for students and teachers providing a means for developing and delivering online courses, notes, assignments, questions, discussions, groups and analytics. GoodSemester offers subscription plans for students and professors. While not exactly “free” GoodSemester is interesting for the way it has adopted business models from open source software entities like WordPress and applied them to education. Open initiatives like Wikipedia and Creative Commons are committed to the ideal of free and open with no restriction or influence from prospective advertisers. Accepting donations provides them with the independence they need to achieve their mission. Curriki the online community and wiki platform for teachers, learners, and education experts to share, reuse, and remix free quality K12 curricula uses both donations and memberships as a means of financing its work. Curriki membership is free to educators, but they ask a small annual membership fee from individuals who join Curriki representing for-profit entities. In exchange for a small annual membership fee, you can publish the Curriki logo on your Web site and let the world know you are a corporate member! Donations are welcome from anyone. Open generates revenue through services. Proprietary off-the-shelf software is funded through the sale of licenses to end users. Open-source software is given away for no charge. 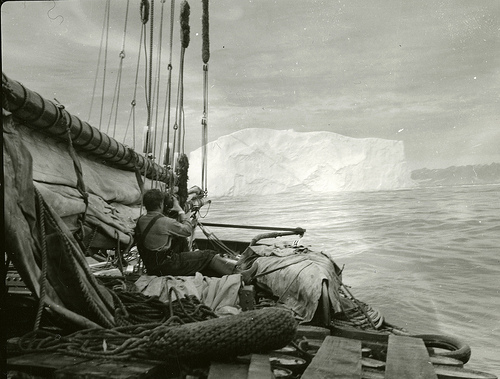 One of the main funding mechanisms for open source software is ancillary support services. Revenue is generated by value added resellers and integrators who specialize in supporting open. Consulting, selection of open source software, installation, configuration, integration, training, maintenance, customizing and tech support are examples of services used to generate revenue from open. The software is free but these fee-based services enable users to optimize use of the product and extract value from it. Its worth pointing out that proprietary off-the-shelf software often requires these support services too, so open source software typically provides a lower cost solution by not charging a license fee for the software itself. Linux, Apache, Drupal, MySQL, MediaWiki, the list goes on and on of open source software available for free but whose full utilization is best achieved through support services. Red Hat provides services for Linux. O’Reilly Media has built a business around providing books, magazines, research, and training for open source software. Pick your open source software product and inevitably there is a local or global business providing support services for it. There are a growing number of open source software applications in education. Moodle, Sakai, and recently Pearson entered the fray with OpenClass. As might be expected there are revenue generating business models around each of these. 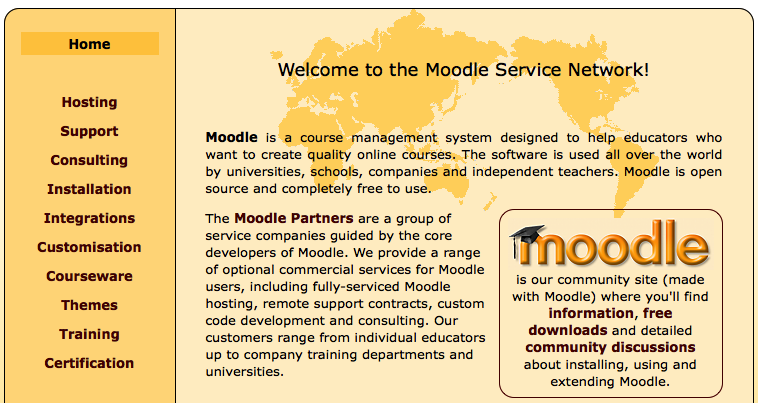 Moodle has the Moodle Service Network. Here’s how Pearson promotes it’s product. 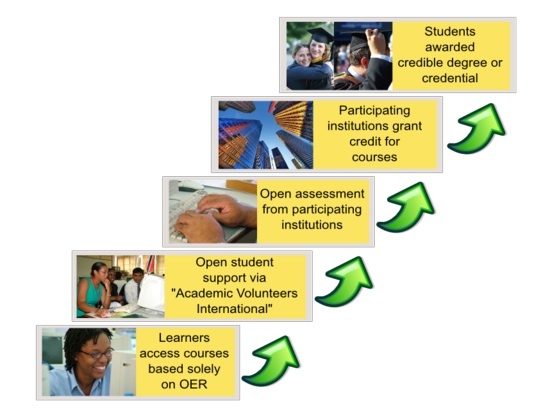 The OER university is a virtual collaboration of like-minded institutions committed to creating flexible pathways for OER learners to gain formal academic credit. 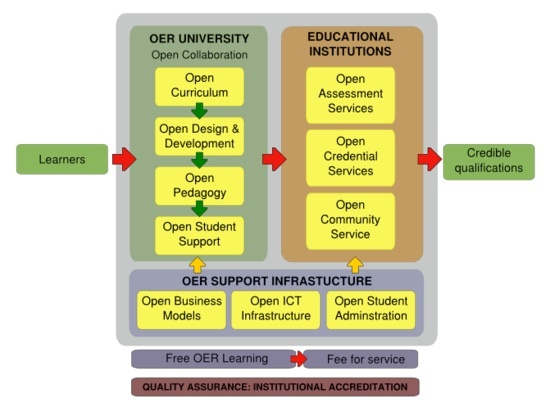 The OER university aims to provide free learning to all students worldwide using OER learning materials with pathways to gain credible qualifications from recognised education institutions. It is rooted in the community service and outreach mission to develop a parallel learning universe to augment and add value to traditional delivery systems in post-secondary education. Through the community service mission of participating institutions we will open pathways for OER learners to earn formal academic credit and pay reduced fees for assessment and credit. Almost all the early examples of Open Educational Resource initiatives – MIT OpenCourseWare, Connexions, Carnegie Mellon Open Learning Initiative, UK Open University’s Open Learn, and even the new initiatives like MITx are based on a model I think of as “Content for free, Teaching & Credentialing for a fee”. Explicit in all of these OER initiatives is that contact with faculty and the actual credential or degree that is awarded are not part of the offer. Those are services that cost. The OERu is looking at a business model where some teaching/tutoring services are provided through academic volunteers international see A Framework for Academic Volunteers International: Dec 5-16, 2011. 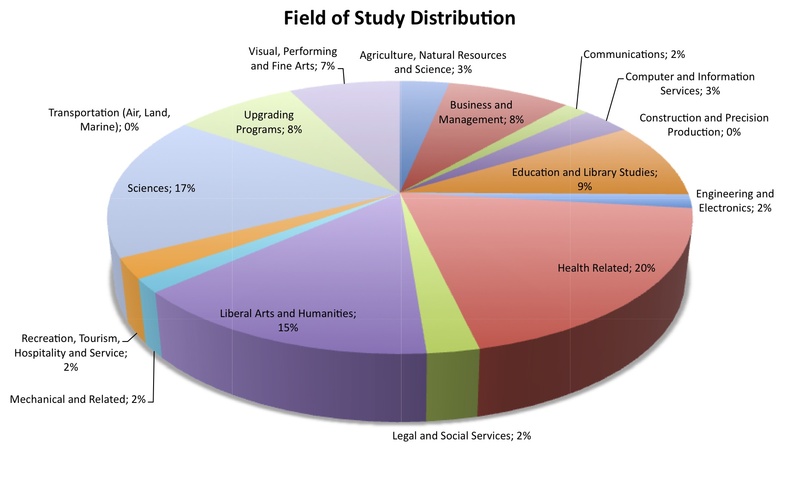 In the absence of teaching services and faculty contact students will turn to each other through initiatives like OpenStudy. I personally see a tremendous opportunity around bolstering education globally through OpenStudy student to student peer mentoring and support. Teaching and credentialing are two areas of service that are undergoing change in the open market. Institutions like MIT and Stanford have brand value. A credential from those institutions has cachet. Indeed all institutions tend to think of themselves as having a prestigious brand. In the open market brand prestige and its value is undergoing change. Udacity is co-founded by Sebastian Thrun one of the Stanford University professors who co-taught the massively open Artificial Intelligence course last year that attracted over 160,000 students from more than 190 countries. After teaching this course Thrun left Stanford to found Udacity believing that university-level education can be both high quality and low cost. 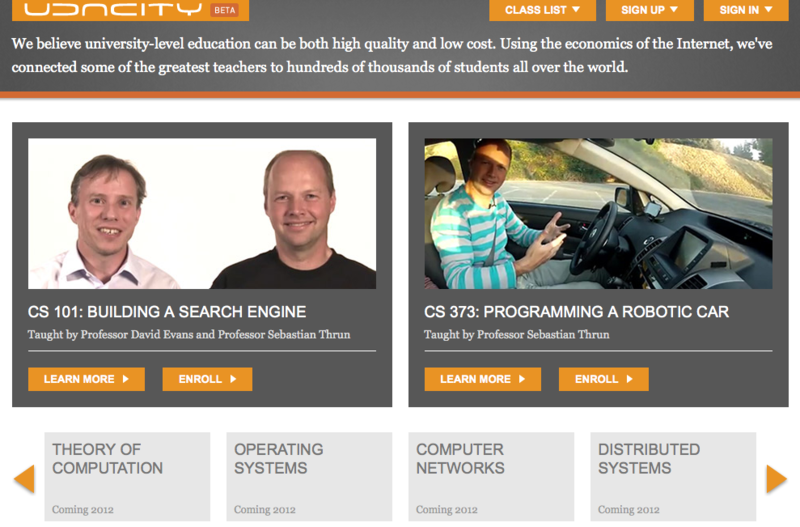 Udacity aims to use the economics of the Internet, to connect some of the greatest teachers to hundreds of thousands of students in almost every country on Earth. Currently Udacity has investment funding and is offering its courses for free while it figures out its business model with several possibilities for revenue generation described in the article Massive Courses, Sans Stanford. Thrun is leveraging brand value out of his own name rather than Stanfords. This idea that students will accept and appreciate a credential not from an institution but from a teacher has been done before in Massively Open Onlne Courses and is now emerging in the form of badges. The MITx initiative has put a new spin on this by devising a credential not exactly from MIT but associated with MIT. The extent to which these badges, letters and certificates of completion from an instructor or non-traditional institution have credibility and value in the market will be fascinating to see. In the economics of open there still are direct and indirect sales. Participants who receive free and open educational resources may still pay for teaching, assessment, and credentialing. The open textbooks being generated in the Washington States Open Course Library initiative aren’t completely free merely targeted to be less than $30 compared to $100-200. Open textbooks are often free in a .epub or .pdf format but cost for a physical print version. I think of this as “Digital for free, physical for a fee”. FlatWorld Knowledge, CK12 and others have all created an open business model around this new way of generating textbooks. The traditional print industry is scrambling to adapt. 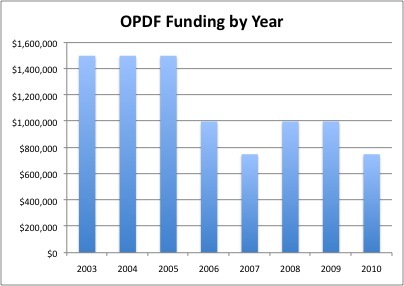 The economics of open still generates revenues but equally importantly generates cost savings. 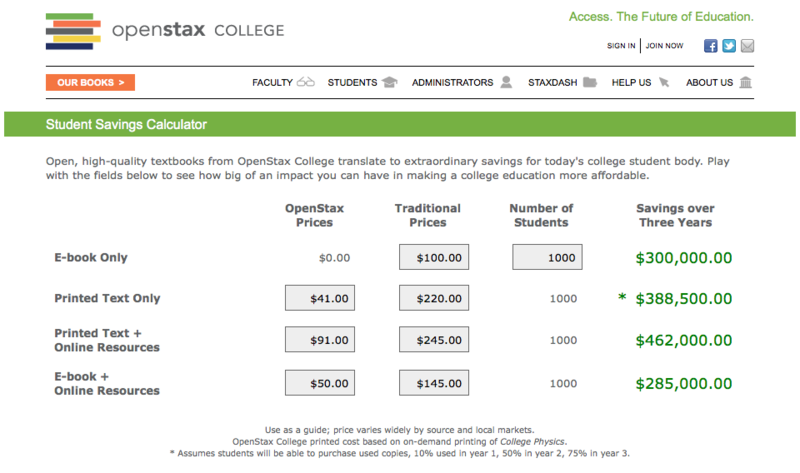 Take a look at the OpenStax Student Savings Calculator to see how big an impact this can have. It has been fascinating to see Reuven Carlyle and Cable Green work together to establish the business case for open textbooks and create government policy that leverages the economics of open for Washington State. (Reuven Carlyle makes the business case here. Cable Green makes the business case here.) 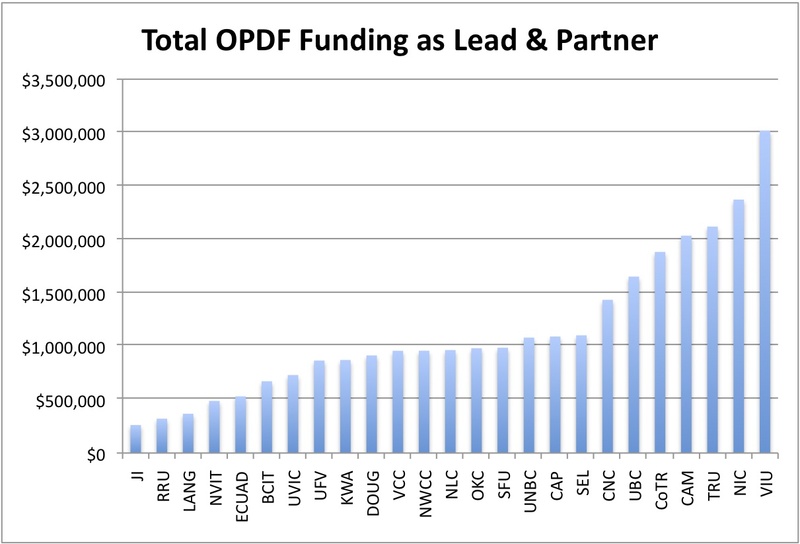 When you amplify cost savings at a state or national level the economics of open impact is huge. Another variation on the digital for free, physical for a fee model, is software for free, hardware for a fee. In the rapid market entry section of this post I described why Google made the source code for Android open. Google’s end game was to generate revenue through direct sales, not of software but of hardware in the form of the Android phone itself. Lets see how well this tactic worked. As of February 2012 there were more than 400,000 apps available for Android, and the estimated number of applications downloaded from the Android Market as of December 2011 exceeded 10 billion. Android is one of the best-selling smartphone platform worldwide with over 300 million Android devices in use by February 2012. 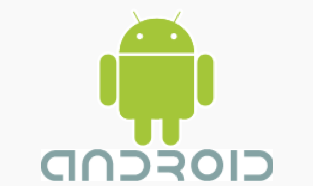 According to Google’s Andy Rubin, as of February 2012 there are over 850,000 Android devices activated every day. I’d say this strategy works pretty well. Eric Raymond, in his book The Cathedral and the Bazaar called this “widget frosting.” To date we’ve not seen hardware specifically designed and developed for the education market. But I see it coming and I bet it follows a similar model. Another way of generating direct and indirect revenue from open is to build product add-on extensions and accessories. In the case of add-on extensions the base product is open and free, but additional more full-featured functionality costs money. Lots of apps work this way. You can download a basic app from Apple or Google but an “upgrade” is available for a fee that provides a more robust and full-featured version of that app. Product extensions can be modules, plug-ins or add-ons to an open source package. Indirect revenue can be achieved through accessories which provide users with an opportunity to customize something open in a way uniquely personal to them. The accessories market is huge. Ringtones, laptop covers, apparel, mugs, cards, the variety and range of accessories is endless. It’s worth pointing out that in music, book, and photography markets some creators give their work away for free and simultaneously offer it for sale. Nine Inch Nails have a brand new 36 track instrumental collection called Ghosts I – IV. You can download the first 9 tracks for free. You can get all 36 track in a variety of digital formats for $5. You can get the tracks on two audio CDs for $10. You can get a a deluxe edition package which includes a blu-ray disc with the songs in high definition stereo and accompanying slideshow. You can get a $300 ultra-deluxe limited edition package (already sold out). Giving away songs for free can generate more sales. 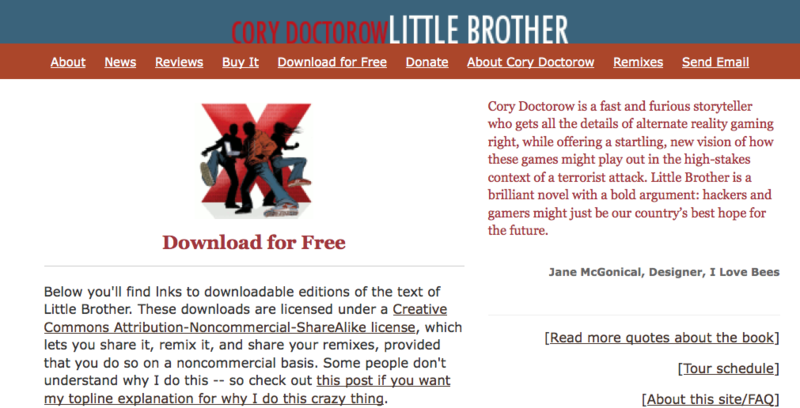 Cory Doctorow is an author who lets you download his books for free or buy them. He provides a great explanation on why he does this. What makes open different is not so much what it derives economic returns from, but “how” it does so. Open disaggregates supply chains into constituent parts and makes one or more of those parts open and free. Although it wasn’t designed for this you can see education supply chain parts revealed – textbooks, journals, curriculum, design & development, pedagogy, student support, ICT infrastructure, assessment, credentialing, … The OERu is looking at how open makes one or more of those parts free or substantially lower in cost. Open diversifies and democratizes both the production and use of goods and services. The innovation around open is not based on hoarding knowledge or building monopolies and locked-in proprietary models but instead on freeing knowledge, building collaborations, and finding flexible shared ways of generating economic benefits. If I give you something and you give me back a new and improved version of that thing, we have engaged in mutual exchange. There has been no financial transaction but we both have mutually benefited. If we have a shared educational need, lets say we have common curricula across a range of courses. Using the economics of open we can divvy up the effort associated with creating that curricula and openly license the curricula for mutual use. One of the ways the economics of open drives the economy is through reciprocity – by granting you rights I too gain. While the business model of open can work with physical goods, its effect as an economic driver is compounded when digital goods are involved. The economics of physical goods is predicated on supply and demand. If I have a physical good and I give it to you, I no longer have it. However, if I have a digital good and I give it to you, I still have it. This fundamentally changes the economics of supply and demand. In a traditional economy based on supply and demand, scarcity generates premium prices. Supply emphasizes mass produced solutions that are just good enough to attract a large segment of users without being optimized for anyone. The power of the marketplace lies more with suppliers than customers. In contrast, the open marketplace, especially the digital open marketplace, massively diversifies and expands supply. In the open marketplace we all become suppliers and power shifts toward customers. The open market reduces supplier lock-in and offers lower costs, more choice, and personalization options. In the open marketplace you can choose what best meets your needs, customize the solution to a much greater extent, and flexibly integrate pieces into more complete solutions. One of the greatest innovations in the open economy is the formation of communities of developers and users who collectively work on and continually enhance creative work for mutual benefit. So when I see Washington state developing an open course library of their top 81 high enrollment courses and a series of <$30 open textbooks I think about how this could scale by working with other states and regions. I think about the formation of an open consortia of others who collectively use the same courses and improve them together. I think about coordinating and building out through collectively planning and distributed effort. Almost all successful open initiatives have a vibrant and active community built up around them. An intriguing innovative aspect of this is that frequently the community that forms around open is global not regional. Leveraging open as an economic driver involves developing and delivering open products and services in partnership with others around the world. Open leads to collaborations and trading partners within a global context. As I’ve thought about and worked through the economics of open in this blog post its occurred to me that the biggest opportunity open brings to all of us is making better use of what we already have. We are all creators. What if we adopted a default of sharing instead of not sharing? Openness — concepts like open content, open data, and open resources, along with notions of transparency and easy access to data and information — is moving from a trend to a value for much of the world. The Internet is becoming a global mobile network — and already is at its edges. We are a publicly-funded organization serving British Columbia’s post-secondary sector. The goal of higher education is the creation, dissemination, and preservation of knowledge, and as such we have an essential responsibility to distribute the results of our work as widely as possible. Our open agenda corporate statement goes on to describe our commitment to publishing all BCcampus reports, web content, and other media resources using Creative Commons licenses. We describe how our events will be open and use open communication practices. At BCcampus open is a default practice. We belief there is collective value in proactively publishing organizational statements regarding committment to open. We hope more organizations follow suit and welcome others to adopt or use ours as a starting point. In Mark Zuckerberg’s masterplan for the ‘sharing economy’ the CEO of Facebook believes he is not changing human nature but enabling it. Zuck’s Law decrees that every year, we will share twice as much as we shared the year before, because we want to and because we now can. Spawned by a confluence of the economic crisis, environmental concerns, and the maturation of the social web, an entirely new generation of businesses is popping up. They enable the sharing of cars, clothes, couches, apartments, tools, meals, and even skills. The basic characteristic of these you-name-it sharing marketplaces is that they extract value out of the stuff we already have. The central conceit of collaborative consumption is simple: Access to goods and skills is more important than ownership of them. Botsman divides this world into three neat buckets: first, product-service systems that facilitate the sharing or renting of a product (i.e., car sharing); second, redistribution markets, which enable the re-ownership of a product (i.e., Craigslist); and third, collaborative lifestyles in which assets and skills can be shared (i.e., coworking spaces). The benefits are hard to argue — lower costs, less waste, and the creation of global communities with neighborly values. Making better use of what we already have generates economic benefit by increasing utilization. Given the worldwide demand for education shouldn’t we be doing a better job of using what we already have? Don’t the principles we see at play in the sharing economy apply equally well to education? If we really want to address the world wide shortage of education an obvious first step is to open up the education resources that already exist within education institutions around the world. The economics of open drives the economy through better utilization of what we already have. Economic development is driven by skilled labour. Better use of existing educational resources increases access and skill development. The economics are simple. The economics of open allows us to increase the skills and knowledge of all. Too many of our educational resources sit on a shelf unused or behind password protected systems. Open makes better use of what we already have. Open works don’t end, they expand and evolve on and on through others. 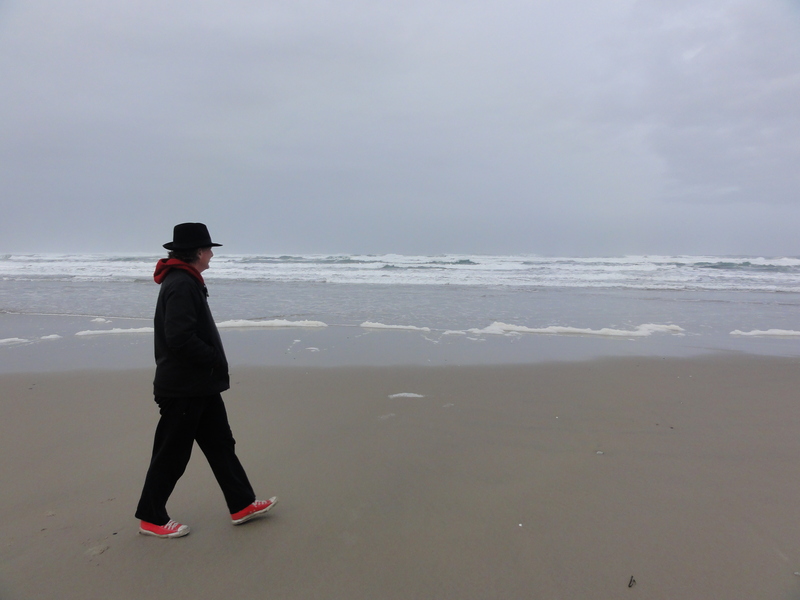 This post is for everyone who has been grappling with the business case for open. My hope is that you’ve had a few aha moments and that some of your questions have been answered. I expect many of you have additional insights and examples of the economics of open. 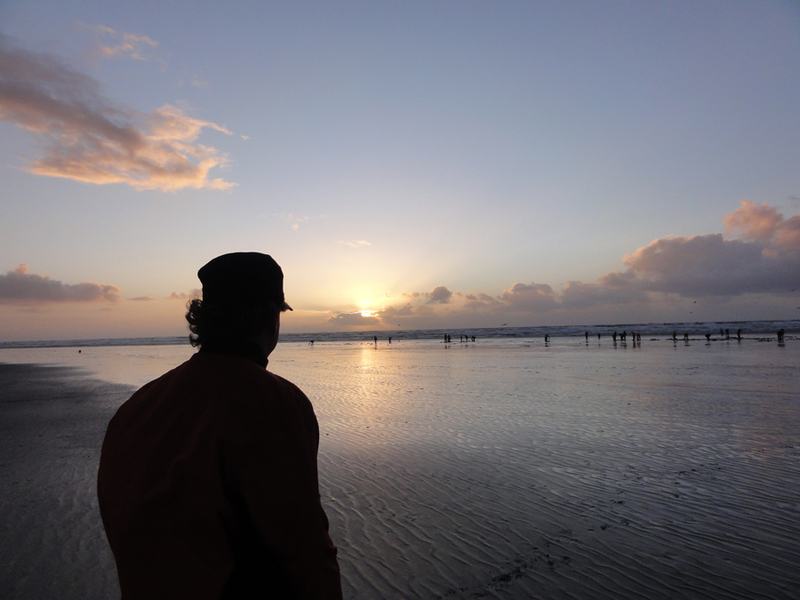 I invite you to share your insights and examples by leaving comments at the bottom of this post. The more we can collectively expand and evolve a global understanding of the economics of open the better for all. For teachers and students as well as self-directed learners, one function of OERs is as a resource for just-in-time, inquiry-based learning. the present case supports the conclusion that direct, informal use by both students and self-directed learners is the main use of OERs. Education researchers, policy-makers, and OER developers may want to consider the best ways to understand and support this type of use and take steps to make it truly available to all learners. Conclusion: the inclusion of OERs helped maintain a good quality level, sustain a viable economic model with reduction of tuition fees for learners, increase access and achieve the intended learning outcomes without any negative impact on the learners’ experience. This was a very limited study of 51 students and several faculty using a single repurposed resource. The major findings of the pilot project were that OER are significant in higher education as they benefit both Faculty and students in many ways like faculty preparation time is reduced, produced materials are of high quality and faculty learn and share from others. It shed new knowledge on methods for accessing academic information, creation and production of such materials; teaching and learning; publishing as well as sharing. Faculty felt they can become more confident when they know that their work is of high quality. The Policies for OER Uptake did substantial literature search (LUOERL) of the learner experience of OER last summer for the UK Higher Education Academy as part of the overall JISC/HEA OER Programme in the UK. This work will be updated again in early 2013 for the EU project POERUP. Two early papers that compare the cost of developing open textbooks with that of commercial textbooks. Audio from Fred Beshears lecture for PBS and NPR forum at WGBH on January 2006. The slides from Fred Beshears presentation to a US House subcommittee looking into the price of textbooks. A short briefing paper for a meeting of the Southern African Regional Universities Association (SARUA) late last year when they held a meeting to develop scenarios for the future of African universities. A range of OER Knowledge Cloud Resources. Proposed new copyright laws, confusion over what is allowed and isn’t allowed under fair dealing, Access Copyright’s attempt to increase tariff’s, risk adverse legal counsel advice, universities and colleges pulling out of Access Copyright. Has all this got your head spinning? In parallel to the changing regime of copyright new open licensing and sharing practices have emerged. As part of Open Access week BCcampus and partners are hosting an Opening Education event on October 17 to explore how the practices of Open Access research publishing and Open Educational Resource (OER) course content have emerged as complementary and creative alternatives to traditional copyright practices. Join us in this exploration of how creators are using digital open licenses to essentially clear copyright upfront in such a way that sharing and reuse by others is pre-authorized and encouraged. 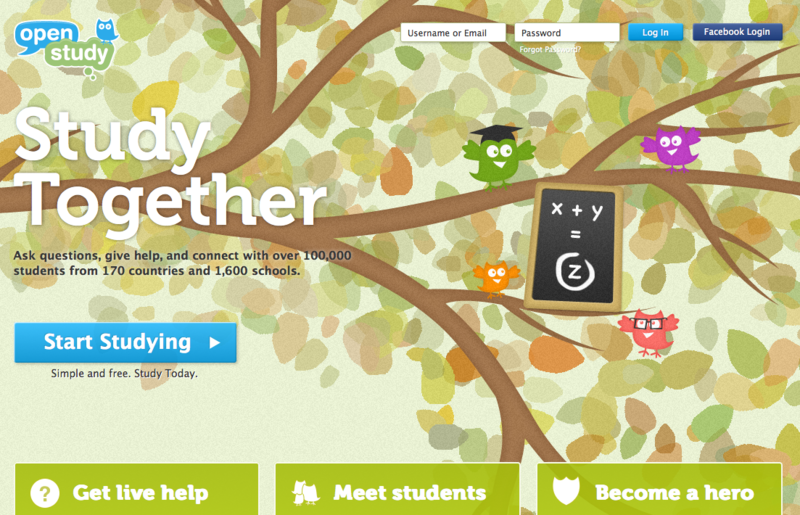 We’ve created an Opening Education micro-site at http://open.bccampus.ca. This site provides a means for online registration and provides information on the location, speakers agenda, and associated resources. The event will take place face-to-face at Simon Fraser University’s Woodwards campus in downtown Vancouver and be simultaneously webcast over the Internet. The webcast will be recorded and posted to the micro-site for reference after the event. Resource links on the micro-site are grouped to portray the range of activities each of these speakers and organizations are pursuing around open access and open educational resources. 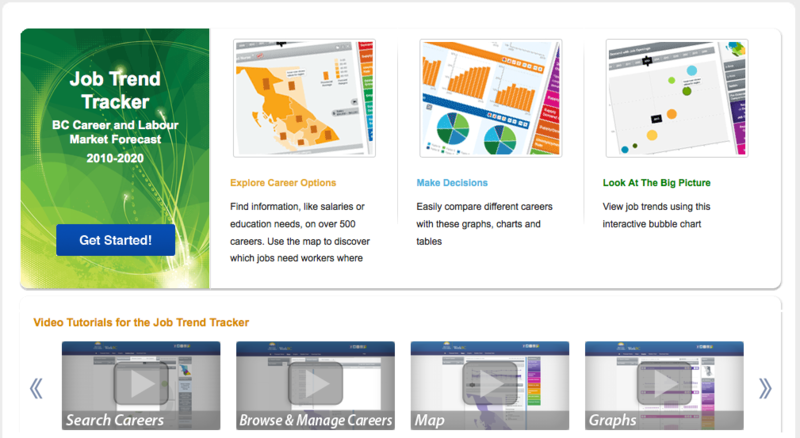 We encourage you to explore the resource links in advance for orientation. 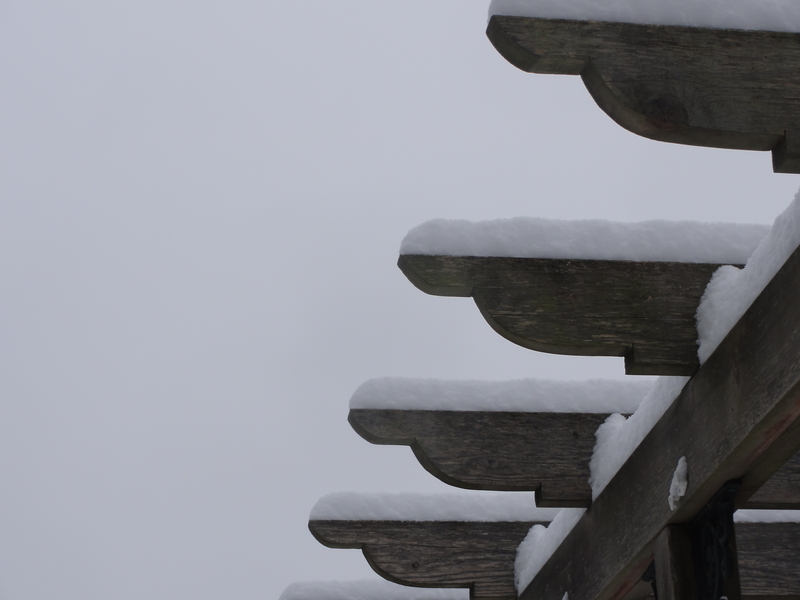 Just finished writing up (with Tori’s help – thanks Tori) the official BCcampus blog post for this BC’s higher ed innovation attracts $750,000 Next Generation Learning Challenges grant and couldn’t resist posting it here too with added commentary (in italics). I’m pumped about heading up this initiative from the BCcampus end. BCcampus is part of a consortium of Pacific Northwest higher education organizations on the receiving end of a $749,994 grant from the Next Generation Learning Challenges (NGLC) – http://nextgenlearning.org/the-grants/wave-I-winners#36 an initiative funded by the Bill & Melinda Gates Foundation and the William and Flora Hewlett Foundation. 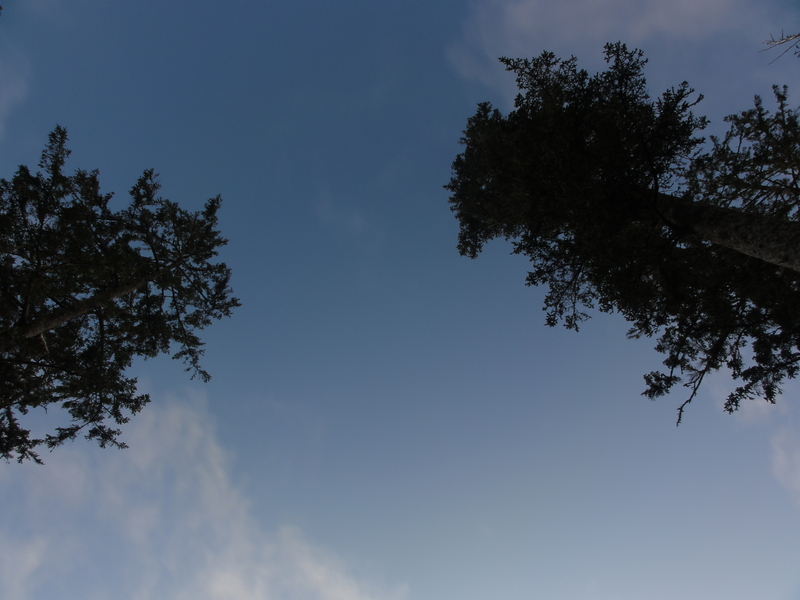 The winning proposal was based on online science courses and Remote Web-Based Science Lab, a BCcampus Online Program Development Fund initiative, which gained the attention of higher education organizations in the United States. With this grant, the B.C.-developed online science labs will be adapted for use at colleges and universities in the U.S. 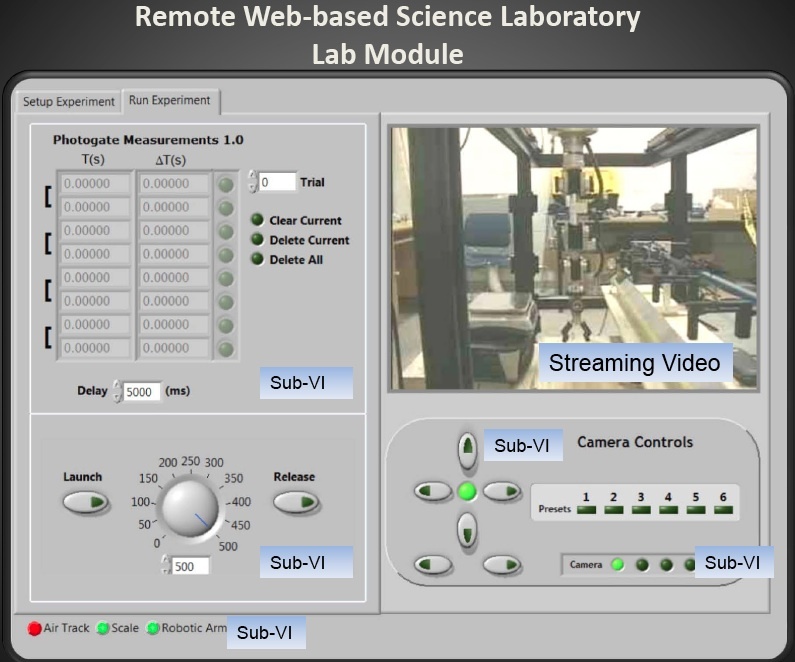 Through the BCcampus Online Program Development Fund (OPDF), a consortia of BC post-secondary institutions developed online science courses for biology, chemistry and physics and a Remote Web-Based Science Lab for online delivery of the lab portion of those courses using remote scientific instrumentation controlled by students over the web. The resources coming out of this development are licensed for sharing and reuse as open educational resources through Creative Commons licenses. This innovative work caught the attention of higher ed organizations in the United States, and BCcampus and B.C. post-secondary partners joined with the Western Interstate Commission for Higher Education (WICHE) and the Colorado Community College System (CCCS) to apply for money from the Next Generation Learning Challenges for consortia development of open, interactive core courseware. The application for a grant to create a North American Network of Science Labs Online (NANSLO) was selected as one of the 50 finalists (out of 600 applicants) to move on to a full proposal. Out of those 50 finalists, the NANSLO proposal has now been selected as one of 29 applicants receiving a grant. The grant award is shared between the Western Interstate Commission for Higher Education (WICHE) as principal investigator and BCcampus and the Colorado Community College System as co-investigators. BCcampus and partner institutions North Island College and College of the Rockies will play an integral role with WICHE and the 13 institutions in the Colorado State Community College System in enhancing the BC-developed online science courses and adapting them for use at colleges and universities in the US. BCcampus and its B.C. 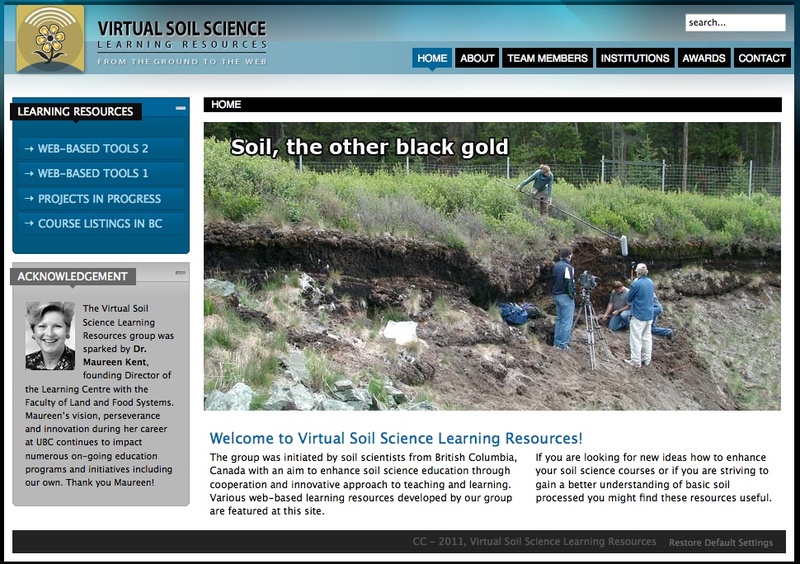 post secondary partners will also help replicate in Colorado the BC-based Remote Web Based Science Lab, currently operating at North Island College, as the second node of a planned North American network of science labs online. NANSLO’s disruptive innovation is the consortial development of online science courses for biology, chemistry and physics as Open Educational Resources (OER), and the online delivery of the lab portion of those courses using remote scientific instrumentation controlled by students over the web. Consortial development of OER ensures widespread adoption, and a remote web-based science lab provides an authentic science lab experience. Looking forward to working with WICHE and CCCS on this. The proposal writing process was very collaborative and established a great foundation for continued teamwork. NGLC focuses on identifying and scaling technology-enabled approaches to dramatically improve college readiness and completion by addressing a continuum of interrelated issues spanning secondary and postsecondary education from grades 6 through college. NGLC is led by EDUCAUSE in partnership with The League for Innovation in the Community College, the International Association of K-12 Online Learning, and the Council of Chief State School Officers. The Bill & Melinda Gates Foundation, and the William and Flora Hewlett Foundation helped design the Next Generation Learning Challenges, and fund the initiative. Here in Canada a Canadian Copyright Licensing Agency called Access Copyright has been operating since 1988. Access Copyright establishes licensing agreements that provide users with the ability to copy from millions of copyright protected materials while ensuring over nine thousand creators and publishers are fairly compensated. Access Copyright license agreements have traditionally been for the rights to photocopy books, magazines, newspapers and other publications. Access Copyright licenses this content through a combination of agreements with other rights licensing agencies and the Canadian divisions of global publishing companies. These rights have been essential to education institutions where instructors photocopy either parts of publications or entire articles and provide them to students as course materials. Access Copyright estimates that 250 million pages of textbooks and other materials are being copied every year in Canada’s primary, secondary and post-secondary sector. Access Copyright has been charging Canadian provincial governments, school boards, colleges and universities an annual tariff amounting to over $30 million a year. As per Copyright Board of Canada the tariff is charged on a per student basis and works out to about $5.16 per student. All of this is subject to major change in the context of the digital age where reprography via photocopying is becoming increasingly obsolete. Copyright is a hot topic and organizations like Access Copyright, who have not traditionally been securing digital rights from creators and publishers, are faced with some significant challenges. In the digital age there is a growing belief that rights are better handled directly by creators without using third party intermediaries like Access Copyright. In addition, in the US and Canada, there are allowable exceptions to copyright called fair use in the US and fair dealing in Canada. Access Copyright cannot charge licensing fees to content that educational institutions have a right to access for free. All this hit the fan when in June 2010 Access Copyright submitted to the Copyright Board a Statement of Proposed Royalties to be collected by Access Copyright from post-secondary institutions for the years 2011-2013 for the reprographic reproduction in Canada of works in its repertoire. This statement covered digital copies and proposed a tariff of $45 per student for universities or $35 per student for all other educational institutions. The statement specifies conditions regarding digital copies and details extensive reporting requirements. The statement caused an uproar on many fronts. The Canadian Federation of Students together with the Canadian Association of University Teachers objected. The Canadian Alliance of Student Associations objected. The Association of Canadian Community Colleges objected. The Association of Universities and Colleges of Canada objected. The BC Association of Universities and Institutes objected. The Government of Alberta objected. In all over 101 objections were submitted. Interestingly Access Copyright response to the objections was to ask the Copyright Board of Canada to dismiss all of the objectors except AUCC and ACCC. For some a key objection was the dramatic increase in per student charges. Amazingly, from my point of view, in asking for the increase in tariff from $5.16 to $45/$35 per student Access Copyright hasn’t submitted any financial justification or business case rationale for the increase. Nor have I seen anything that says they have acquired the digital rights to works or that the creators and publishers they represent want them to act as digital work intermediaries on their behalf. If this is a cash grab its worth following the money. How does Access Copyright collect and distribute royalties? Access Copyright publishes a schedule of distribution payments. Of the $30 million it collects Access Copyright holds back 20% (~$6 million) to cover its own administration and a further 1.5% (~$450,000) which goes to Access Copyright’s cultural fund which goes to promote and support Canadian culture through the provision of grants intended to encourage the development and dissemination of published Canadian works. 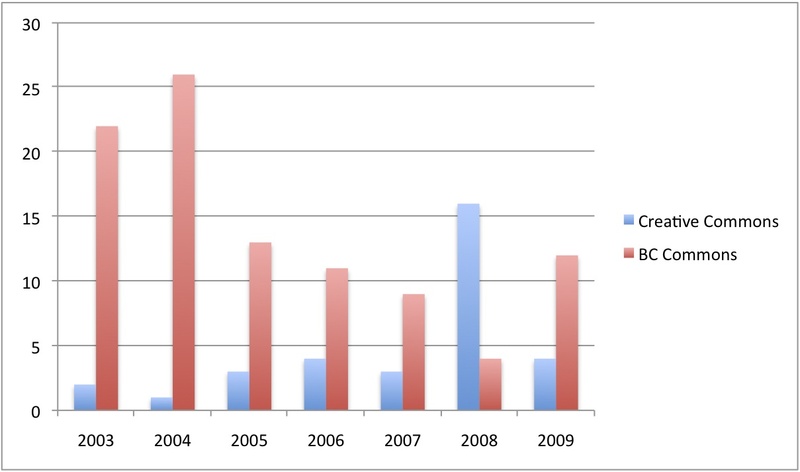 Howard Knopf notes that Access Copyright budgeted $3.1 million for lawyer and other professional fees in 2010 and that with 1.5 million students registered in universities and colleges in Canada if the new tariff goes through Access Copyright’s revenues from universities and colleges alone jumps to about $60 million. Access Copyright’s distribution of royalites specifies that two thirds of Access Copyright royalties go to the rightsholder based on Access Copyright having actual knowledge that their copyright protected work was copied under an Access Copyright license. Licensees (eg. colleges and universities) are required to provide full reporting including complete bibliographic information on all the works they copy, including the number of pages they copy and the number of times they copy these pages. Royalty payments are made to rightsholders of the works appearing in these reports. One third of Access Copyright royalties are collected for copying impossible or impractical to collect information. This portion of the tariff is calculated based on the number of full time employees or an operating budget scale. Access Copyright distributes these royalties 50/50 to publishers and creators. I don’t think anyone objects to publishers and creators getting fair compensation for their work. However, colleges and universities are currently operating in highly constrained financial circumstances. Furthermore tuitions and student debt has been rapidly escalating. Going digital ought to reduce costs not increase them but Access Copyrights tariff seems intent on going in the other direction forcing institutions and students to bear the burden of costs for which its made no justification. Claiming that a hyperlink is a digital copy is a good example of how excessive Access Copyrights claims are. Linking and displaying are not part of Canada’s copyright act and as such are not subject to copyright tariff. Teachers, students, institutions and taxpayers should not have to unnecessarily pay millions of dollars per year to exercise rights that they already have. It appears that Access Copyright is overstepping its mandate as it tries to move in to the digital sphere. In an era where everyone is used to acquiring digital works through services like iTunes it seems ludicrous, at least to me, that the process Access Copyright proposes to use for tracking and collecting tariffs is essentially manual, labour intensive and place the onus entirely on the licensee to fully disclose every copy it makes. For example if an instructor emails students a digital copy of a document the educational institution is required to compile a record and report back every such e-mail. One can only hope that the Copyright Board of Canada will bring some reason to all this and balance Access Copyright’s efforts to generate dollars for the creators and publishers they represent with the rights of the Canadian public for fair access. However, in December 2010 they approved Access Copyrights request for an interim tariff and amazingly conclude this announcement by saying: “This decision is being issued without reasons because the Board considers this matter to be urgent.” Yikes that doesn’t come across as a good example of public accountability. Here in British Columbia the University of British Columbia’s position regarding Access Copyrights new tariff can be found here. As part of its response and its desire to take a lead on promoting responsible use of copyrighted material UBC is developing a License Information Database which answers many questions students and instructors have about using the Library’s resources. The University of Northern BC, like Athabasca, has decided they will not renew the Access Copyright license. UNBC has invited me to give presentations there in early February helping faculty and staff explore the alternatives. I’ve agreed and submitted the following as what I propose to do. Within this larger strategic context of open particular emphasis will be placed on the potential of open educational resources as a creative alternative to traditional Access Copyright sourced course materials. Intellectual property, copyright and licensing aspects of open educational resources will be described and demystified. Open educational resource examples from within BC and from around the world will be used to illustrate the rich and diverse range of resources already available for free and immediate use. Tips on sourcing open educational resources and using them in whole or in part will be provided including urls, web sites and search engines. This presentation will conclude with opportunities for Q&A and dialog with the presenter about the opportunity side of open. An applied/hands on session will follow providing more in depth opportunities for participants to explore, discover, and dissect open educational resources pertinent to their academic domain of interest. This session takes concepts and ideas from the first presentation and moves them into a practical and applied context. It is structured as a guided exploration of how to find and use open educational resources. Using web-based open educational resource aggregators and repositories participants will be invited to find and select resources pertinent to their academic field of study and instruction. Searching, previewing and downloading resources will all be demonstrated. The potential to use open education resources for everything from a course supplement, to a course component, to a complete course, to curricula for an entire credential will be explored. Benefits associated with open education resource use from student, instructor and institution perspectives will be discussed. Open education resource license obligations such as attribution, and share-alike will be described. Open educational resource technical format, instructional design, and quality aspects will be considered. This session will conclude with an overview of current trends and directions associated with open education resource development and use around the world. Its important to acknowledge that going your own way is not an effort to avoid paying appropriate rights fees. It simply means that the model being proposed by Access Copyright is not appropriate, especially for digital works. Not all copying is a contravention of the copyright act. The Fair Dealing copyright exception allows copying portions of works for the purpose of study. I’ve written widely about open educational resources elsewhere in this blog and think that openly licensed materials hold great potential as a significant alternative. What do you think about Access Copyrights statement of proposed royalties? Are there additional alternatives to the ones I’ve listed above?